In your container, mix 2 tablespoons of castor oil with 5-10 drops of tea tree essential oil. If you want to add another oil, make sure you’re using 2 tablespoons of oil total and the Castor oil is at least 50% of the oil blend. Tea tree oil is a powerful ingredient and can irritate some people’s skin in higher quantities, so please start with fewer drops of tea tree oil until you determine how your scalp will react and then increase the number of drops slowly. 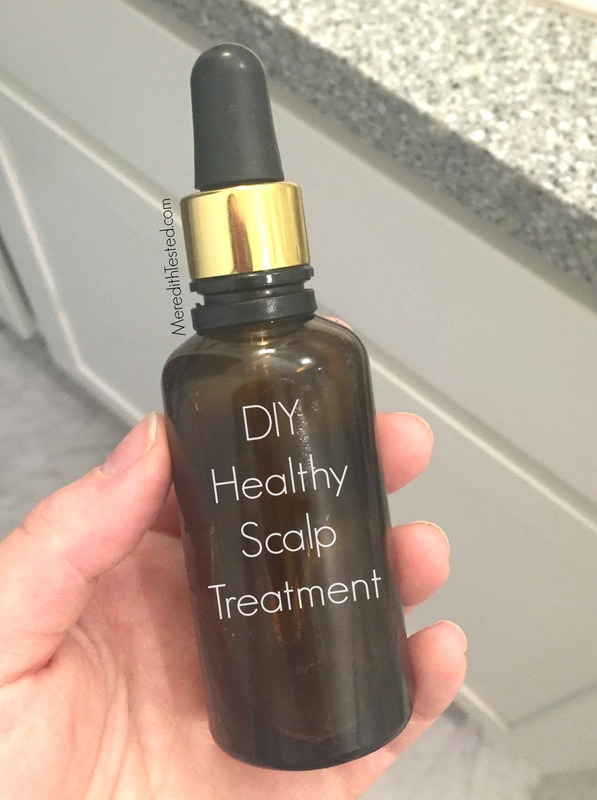 Starting on one side of your head above your ear, part your hair in a straight line back and apply a small portion of the treatment directly to your scalp, gently massaging the oil with the pads of your fingers. Move around your head, applying the oil until you’ve used all of the mixture. With both hands, gently massage the oil into the scalp one more time. Yeah, it’s messy. But it’s worth it in the end! If you have long hair like me, throw your hair up in a crazy bun on top of your head. I also like putting on a stretchy headband to stop the oil from dripping down my face. This mixture is gentle and should not feel stingy or uncomfortable in any way … besides the fact that you’re putting oil all over your scalp. Let it sit for 15-30 minutes and then hop in the shower. You can just shampoo as usual but for better results, take your time gently massaging a small amount of shampoo (maybe 1/4 to 1/2 of what you normally use) onto your scalp and hair at a time. Rinse and repeat just until you feel your hair feels balanced and clean. You don’t want to over-shampoo your hair and strip it of natural oils that will help your scalp stay healthy. 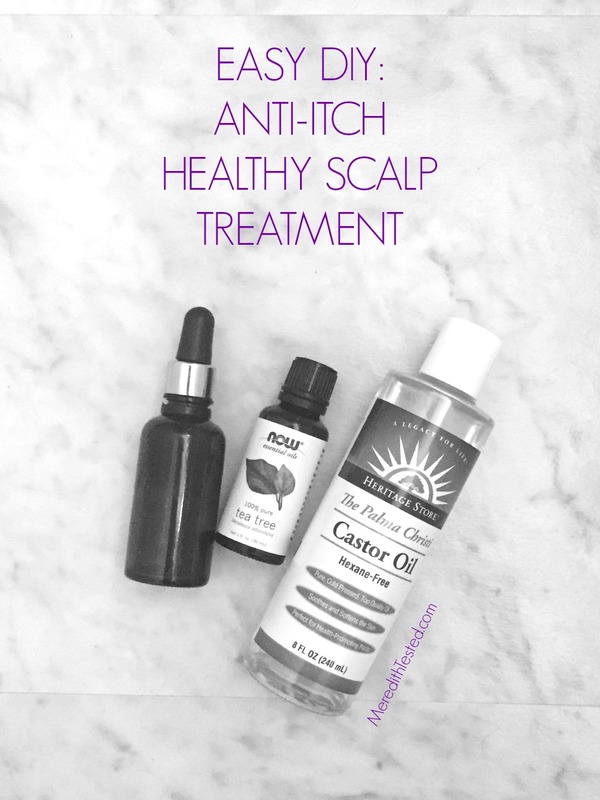 With both of these treatments I saw results pretty quickly, but make it a habit and your scalp and hair will be itch-free and healthy. You could also choose a product like this one from Shea Moisture* but using ingredients that you can buy in larger quantities and for multiple uses is a less-waste option. Thanks for this post! I don’t have scalp psoriasis but I do get dandruff here and there and I wonder if this will work for that too. Will have to give it a try! 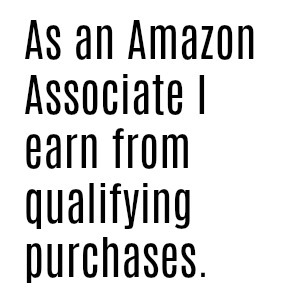 Absolutely – I’m sure it would be beneficial. Let me know how it goes! Wow! Thanks for the share. I really need this. My scalp is dry, flaky and has dandruff. I believe it will help me a lot. I will definitely give it a shot. Wish you a good day and hope we will get more from you. Hi Meredith! I have the same issue as thee dry scalp and I found this article informative. I have a question that what is over shampooing? does shampooing hair 5 times a week could be count as over shampooing? Previous Previous post: Are you afraid of being a careful consumer?